The easiest way to get bad credit is by not paying your bills. Anyone who’s missed even a single payment on their credit cards or loans will attest that their credit score drops immediately. But what if you recently lost your job and have no money to meet your financial obligations? You’d be among the 8.7 million Americans who became unemployed following the financial crisis, many of whom lost their homes as well. That’s where unemployment insurance (UI) comes in, a stop-gap measure provided by the government to help Americans make ends meet while they look for work. Although critics argue UI discourages people from looking for work, new research from Northwestern University’s Kellogg School of Management claims the expansion of UI during the Great Recession helped prevent 1.4 million foreclosures and $70 billion in social costs. In their working paper “Positive Externalities of Social Insurance: Unemployment Insurance and Consumer Credit,” Federal Reserve Board of Governors economist Joanne W. Hsu, Northwestern University Associate Professor of Finance David A. Matsa and Assistant Professor of Finance Brian Melzer set out to study the role UI played on consumer credit during the Great Recession. From left: Federal Reserve Board of Governors economist Joanne W. Hsu, Northwestern University Associate Professor of Finance David A. Matsa and Assistant Professor of Finance Brian Melzer. The idea behind social welfare programs like these is fairly simple — people who receive unemployment benefits have the money to meet their monthly mortgage payments, money they wouldn’t otherwise have after losing their job. What, then, were the benefits of this? 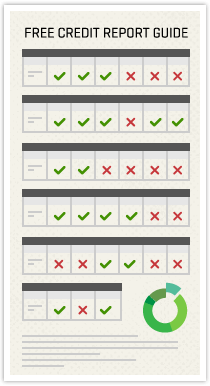 What metrics could policymakers use to measure the success or failure of extending UI? The United States federal government produced two key pieces of legislation to mitigate the effects of the Great Recession: the Emergency Economic Stabilization Act of 2008 and the American Recovery and Reinvestment Act of 2009. 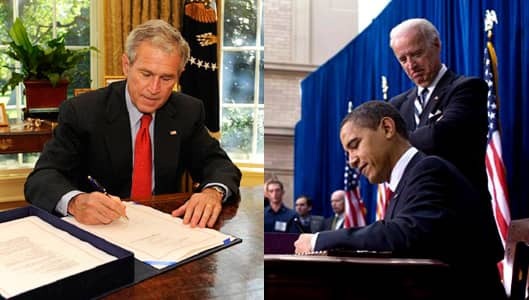 Former President George W. Bush signing the Emergency Economic Stabilization Act of 2008 and President Barack Obama signing the American Recovery and Reinvestment Act of 2009 with Vice President Joe Biden. The research focused on two important components of this legislation: the Home Affordable Modification Program (HAMP), which aimed to help banks refinance consumers mortgages using federal assistance, and the federally-funded $250 billion expansion of UI from 2008 to 2012. The fact that UI had so much more success compared to a federal program specifically designed to prevent foreclosures may seem puzzling, especially when you take into consideration the $2,000 the government was willing to pay banks for every loan they refinanced. However, those financial institutions may have been overwhelmed by having to refinance so many loans on a mass scale, Matsa said. UI, on the other hand, put government funds directly into the hands of homeowners, allowing them to pay off their mortgages and other obligations. The paper also acknowledges the potential for “moral hazard,” considering the fact that consumers weren’t required to use the benefits for any particular purpose. For example, many homeowners during the recession considered strategically defaulting on their loans, which has its merits when a homeowner’s loan-to-value ratio with their home exceeds 120 percent. And while many homeowners did in fact decide to walk away from homes with mortgages exceeding their post-recession value, the research of Matsa and company seemed to indicate many homeowners decided against the strategic default. “What’s striking is that many people who are way underwater on the loans still took the money and continued to pay and avoided becoming delinquent,” he said. 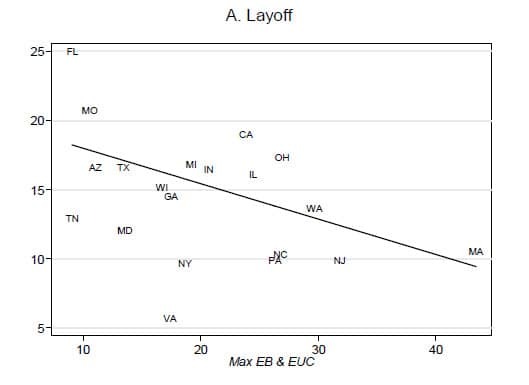 When analyzing laid-off individuals and the maximum amount of UI benefits an individual could receive in each state, Matsa and his colleagues were able to reveal a trend line that seemed to indicate an inverse relationship between delinquency rates and UI generosity. Mortgage delinquency and extended benefits available to eligible unemployment insurance recipients under the Extended Benefits and Emergency Unemployment Compensation programs (in thousands of dollars) in May 2009, by state. Only states with at least 50 observations are displayed. And because those homeowners did not default, they were able to stay in their homes — a move which, in and of itself, mitigated roughly $70 billion in social costs, according to estimates from The U.S. Department of Housing and Urban Development. The social costs of a typical foreclosure, Matsa said, were about $51,000, which covered declines in the home’s value due to structural degradation (“If you’re about to go delinquent on your house, you’re less likely to invest in it”), declines in neighboring home values, costs associated with moving (paperwork, travel, etc.) and declines in property taxes collected by local governments. Matsa and his colleagues compared unemployment benefit generosity state by state, comparing the impact each state’s policies had on the consumer credit market. Program maximums vary widely across the country, ranging from $6,000 in Mississippi to more than $28,000 in Massachusetts. They found consumer credit limits rose by roughly $1,700 and interest rates fell by 1.4 percent for every $3,600 increase in maximum UI benefits, as well. The extended unemployment benefits rolled up in recession-era legislation expired on Dec. 28, 2013, leaving roughly 1.3 million Americans without benefits they otherwise would have had if the program’s extensions hadn’t expired. Since then, a number of bills have been introduced to both the House and Senate that would extend those benefits once again, with extension lengths varying between a couple of months to several years. Among those bills, H.R. 3979, the Emergency Unemployment Compensation Extension Act of 2014, has the greatest chance at actually reaching President Obama’s desk. Although it passed the Senate on April 7, the House has yet to approve or deny the latest version of the bill.